What to Expect from Pakistan Realty Sector in 2019? 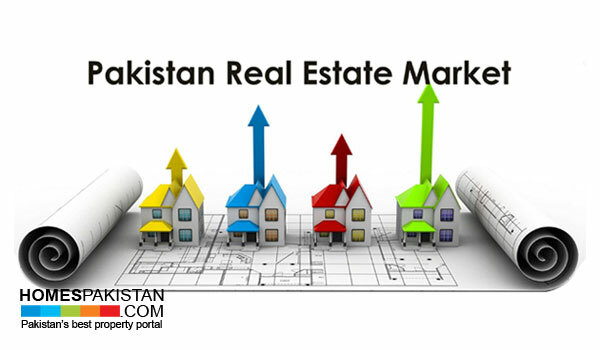 We are just a few weeks away from 2019 and while you are busy chalking out your new year's plan, we are gathering data to let you know which turns Pakistan real estate sector will take in near future, especially for the ones who are gearing up to invest their hard-earned money in here and anticipating a promising future of this sector. Experts at HomesPakistan understand that not everyone is a pro here and newbie investors always need words of advice from experts to make viable investment decision, especially when it comes to real estate market. If we look at Lahore property market, 2018 proved to be good for it. The market took a forward leap right after the general elections took place and the new government held office in centre. Soon after general elections, we have noticed a surge in the number of investors taking interest in Lahore property market. Instead of parking their investment in neighbouring countries, savvy investors seem to invest in their own country - as we are expecting positive reforms from new government for the positive growth of realty sector of Pakistan. This is the immediate impact but with time, the situation will get clearer, which will help create pro-investment environment for local and overseas investors alike. If we talk about current scenario, it is generally noticed that market is a bit slow at the moment. Even the posh societies including DHA, Johar Town, Model Town, the situation is same. Not just because the taxes and other fees (that were imposed by previous government) but investors usually shy away from investing during this time of the year. Most of them are waiting for the New Year to kick-start new investment plans. Generally, a dip is noticed by the end of year which usually leads to a bigger jump later. Experts believe that it is that time of year when pro investors usually adopt hibernation stage to foresee market, decide their options and actively invest with the beginning of New Year. Most of the time, pro investors consult real estate agents and keep a check on periodic data of that specific area where they want to invest . Karachi If we look at Karachi real estate market, we see a very happening 2018. Despite the fact that Pakistan Peoples Party has made government in Sindh, the new government in centre cast a positive image, which impacted positively on the investment sectors. Therefore, it would not be accurate to say that there has been any kind of low in Karachi real estate market, especially at this time of the year. Mostly experts are of the view that with the launch of new societies such as Bahria Town, new phases of DHA City, ASF Housing Scheme and improved law and order situation in Karachi, prices are inching upwards so it is the right time to buy property in Karachi before it goes out of your reach. Islamabad is presenting a positive picture with positive activity trend in real estate sector. Still, new societies are managing to attract investors. New residential societies Gulberg Greens, Capital Smart City, Gulberg Residencia, Bahria Enclave and mixed kind of projects such as The Address hold charm and attraction for potential investors due to its growth and promising returns. Moreover, the city's realty market has touched unprecedented heights, as Capital Development Authority (CDA) is taking every measure to ensure the establishment of world class residential societies in the capital. This analysis is based on data extracted by HomesPakistan official website but we are very much interested in knowing your views related to the future of Pakistan real estate sector in 2019.